As first-time MOOC-makers, the one constant in our lives is that we’re learning. We’re learning about how learning design for MOOCs is different to that of traditional courses. One of these distinctions is that we’re designing for a massive audience – not only massive numbers but also likely to be massively varied in terms of background, education level and motivations for joining. This involves balancing the course objectives set out by the academics with the expectations of our extremely broad audience. Not an easy task. The creation of MOOCs involves a team of people. To make this work we’re having to consider new ways of managing the development process. How should our team be structured? How do we allocate work and manage workflow? At which points do we ask for feedback? Different MOOCs have required slightly different processes as the people we work with have different ways of doing things. We are continually grappling with what development processes would make it slightly easier next time around and how to share this within the team. Along the way, we’re also deepening our knowledge as a byproduct of our engagement with leading academics and professionals. We have gained insights and perspectives on complex problems in healthcare from people with different disciplinary approaches. In one week we had the chance to talk with with a medical anthropologist, radio producer and paediatric oncologist. They were each telling us how, using very different approaches, they help make children’s voices heard in hospitals where they may ordinarily be ignored. This has an incredibly important role in the healing process. And these are the insights we are keen to be sharing with our MOOC participants. So making MOOCs can be a lot like having children. With the first one, you’re not quite sure what you’re getting yourself into. You learn on the job – very quickly – and it’s a lot of hard work. But it is all incredibly rewarding. Funnily enough the gestation period of Medicine and the Arts: Humanising Healthcare is about 9 months. It’s been 6 months since we started, with 3 to go until our launch date on 16 March 2015. Until then, we continue the preparations into our final trimester, trying to “keep calm and check the schedule”, as our production manager Antoinette would say. Join us at the finish line, of what’s panning out to be an incredibly exciting journey – View the trailer video and enroll now. When producing a MOOC remember: keep calm and check the schedule! 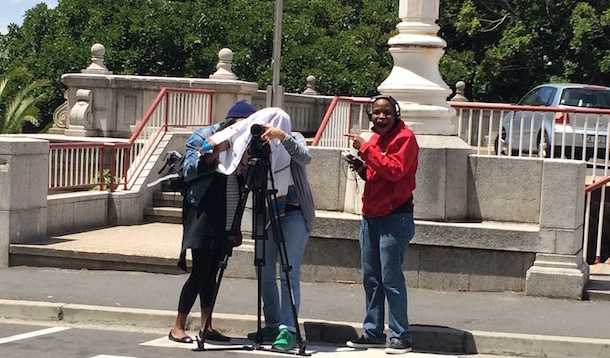 For the past three months I’ve worked as the video production manager on the University of Cape Town’s Massive Open Online Courses (MOOCs) team. UCT’s first MOOC, entitled Medicine and the Arts: Humanising Healthcare, is an interdisciplinary course bringing together academics from the arts, humanities and healthcare to teach a course in the Medical Humanities. My role included coordinating thirteen academics around our four-week shooting schedule – no easy task – totally worth it! We had a great group of people, personalities and scholarship. Being part of the production process was like being in a classroom with some of UCT’s finest minds. I had first hand access to illuminating ideas about how our bodies are understood in the context of medical practice, how conception may be the single most creative act ever, and discovered in UCT’s second MOOC What Is A Mind? that a thumb-sized part of our brains is the seat of all consciousness, and the little dictator of emotions and actions really does make us human. When not on set helping to manage the studio floor I was engaged in consistent communication between our team, course conveners and academics by email, sometimes face-to-face meetings, as the course design was put in place and developed. I’m happy to have gained access for the team to shoot inside the medical contexts which the course explores. Like the Khayelitsha District and Red Cross War Memorial Children’s Hospital, the Heart of Cape Town Museum housed at Groote Schuur Hospital, and the Irma Stern Museum. Cold calling, what cold calling? Luckily for me the University of Cape Town has great working relationships with some of the most esteemed institutions in the province. 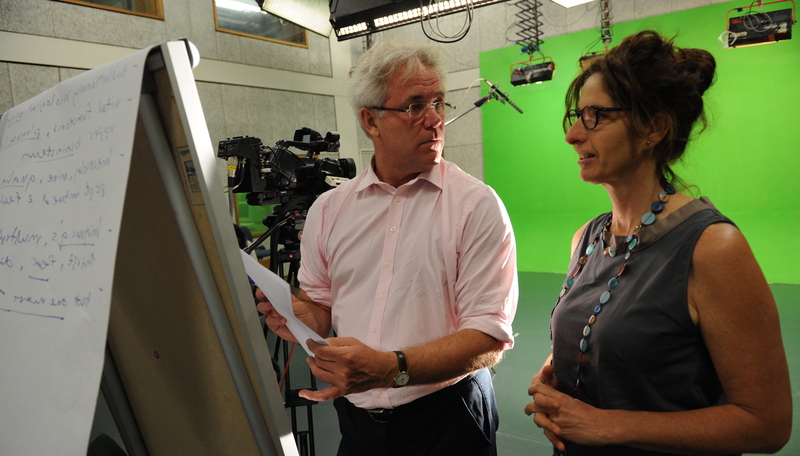 The film-making process is no doubt a team effort, and what I learnt through my time at the Centre for Innovation in Learning and Teaching (CILT) is that so is the business of creating a course! What a wonderful, smart and fastidious group of people are behind the MOOCs Implementation Team – a group of people committed to making outstanding UCT scholarship available to anyone, anywhere in the world. They know the need that exists in developing nations for the fair distribution of open educational resources. Africa is on the MOOC map of knowledge producers thanks to their efforts. Our time is now. So, when you get around to producing your own MOOC remember: keep calm – and just check the schedule!